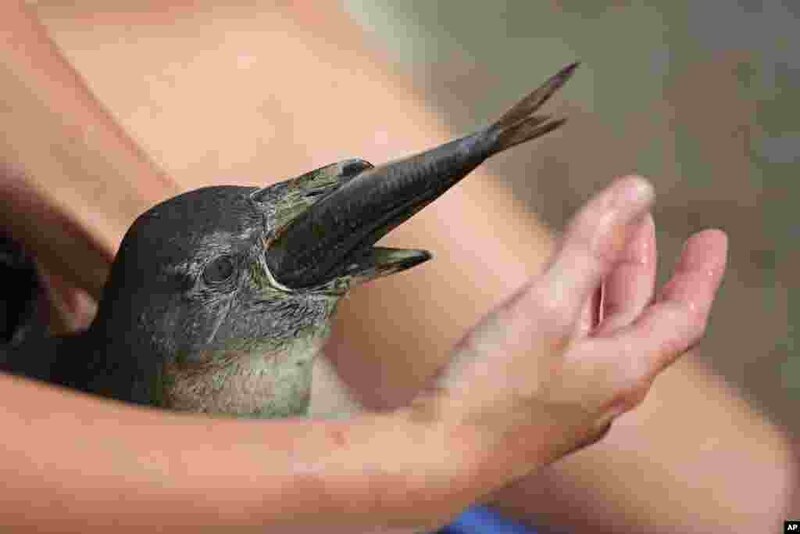 1 A volunteer for SANCCOB, the Southern African Foundation for the Conservation of Coastal Birds, feeds a baby penguin that was abandoned by its parents on the outskirts of Cape Town, South Africa. During the Christmas time SANCCOB receives hundreds of African penguin chicks abandoned by molting parents. 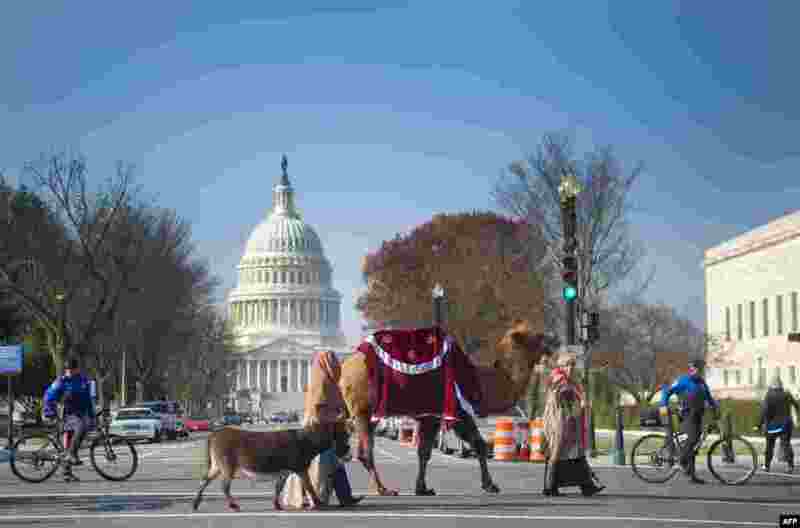 2 Members of Faith and Action in the Nations Capital lead a donkey and a camel as they participate in a Live Nativity procession on Capitol Hill in Washington, D.C.
3 Residents of the city of Damara, 75 km north of Bangui, leave the region for Bangui, Central African Republic, as French forces deploy in a bid to halt spiralling violence. 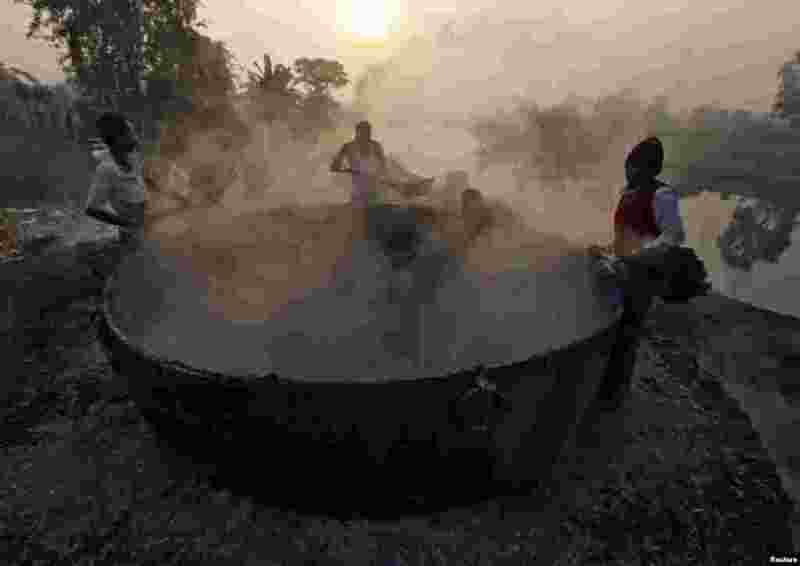 4 Laborers make fertilizer ingredients out of scrap leather at a roadside factory in Kolkata, India.